When it comes to lemon juice, you only think about drinking it, applying it on your skin, or using it to enhance the taste of food. But, did you know that lemon juice works wonders in lightening your hair color? Yes, it is a natural highlighter for your locks. The citric acid in lemon juice reacts with oxygen and the sun’s UV rays to lighten your hair naturally. Isn’t that amazing? This method may come as a relief for blonde and brunette ladies who have tried everything under the sun to get that sun-kissed hair look. But, what about raven-haired beauties? Well, you need to be patient to get the sun-kissed, beach-ready hair of your dreams. Want to know how to use lemon juice to lighten your hair? Just keep reading! Before beginning the procedure, you need to keep in mind that this natural method works best on unwashed hair. Step 1: Slice each lemon into two halves and squeeze all the juice from them into a mixing bowl. 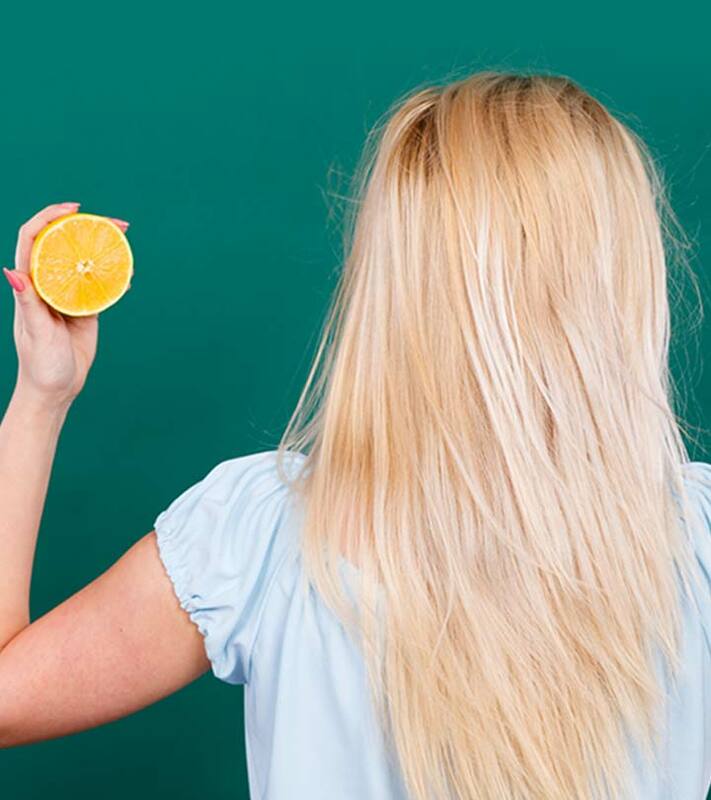 You can use more or fewer lemons depending on the length and volume of your hair. Step 2: Transfer the lemon juice to the spray bottle. Add conditioner to it in a 2:1 ratio. You can use water as an alternative for conditioner, but it’s better to use conditioner as just lemon juice and water can leave your hair dry and fragile. Shake the spray bottle to mix the ingredients. Note: You can also add natural enhancers like orange juice, nourishing oils, chamomile tea, cinnamon powder, honey, or cassia extract to brighten your highlights further. Step 3: The sun’s UV rays play an important role in triggering the lightening process. Therefore, you need to use an effective sunscreen lotion with a minimum SPF of 30 to protect your skin from the harmful UVA and UVB rays. Apply the sunscreen lotion all over your face and body before going out in the sun. Step 1: Choose the sections of your hair that you want to highlight. If you want a uniform hair color, spray the mixture all over your hair. If you only want highlights, spritz the mixture only on those areas that would be hit by sunlight naturally. Step 2: Comb through the length of your hair or use a cotton ball saturated with the lemon juice mixture to dampen your locks. Step 3: Head out for direct light exposure and spend at least 1-2 hours in the sun. This will trigger the hair lightening process. Step 1: Once you’ve spent a couple of hours in the sunlight and the mixture has dried up, get into the shower. 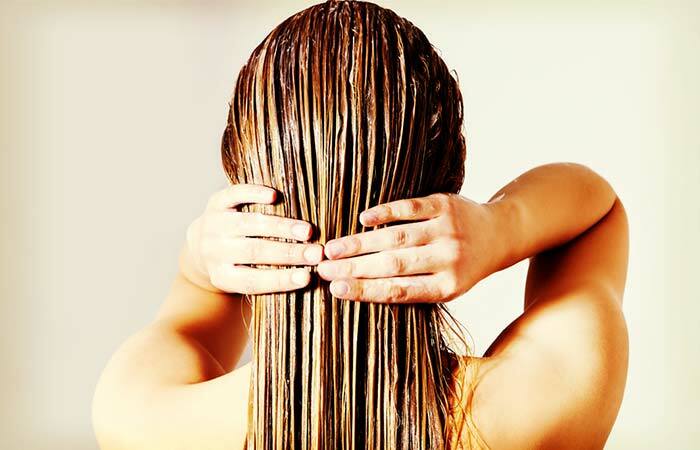 Wash your hair thoroughly with lukewarm water. Step 2: Apply a deep conditioner all through your tresses and leave it on for around 8-10 minutes. Then, rinse it off thoroughly. Step 3: Let your hair air-dry. If your hair feels too dry, you can use a moisturizing mask to hydrate it. 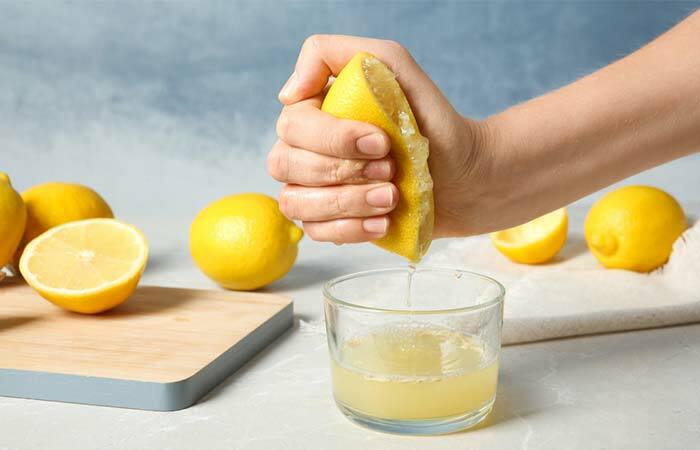 While lightening your hair with lemon juice does sound like a miracle, you need to take a few precautions to prevent damaging your skin and hair. Apply Sunscreen: Sitting in the sun for 2 hours can give you some serious sunburn. Therefore, make sure you apply a sunscreen lotion all over your face and body before you head out to lighten your hair. Use Organic Lemon Juice: Store-bought lemon juice is usually highly processed and contains chemicals that can damage your hair. Buy fresh lemons and squeeze out their juice to lighten your hair instead. 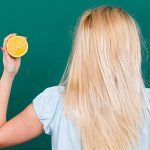 Multiple Sessions: For some hair types, lemon juice can be as damaging as bleach. Therefore, you need to follow the lemon juice hair lightening procedure at least 3-4 times for a gradual but permanent hair lightening effect instead of attempting to sit in the sun for many hours to get it done in one sitting. Make sure you deep condition your hair after every session to restore the moisture. Who knew a simple ingredient like lemon juice could give you the hair of your dreams, right? Try it out and let us know what you think about it in the comments section below. Can I leave lemon juice in my hair overnight? If you have dry hair, it is not recommended to leave lemon juice in your hair for too long. But, if you have normal or silky hair texture, you can go ahead. However, it can cause a dry and itchy scalp. How long does it take to lighten your hair? An hour or two of sun exposure with lemon juice in your hair can lighten your hair subtly. You will have to repeat the process for 3 to 4 days for prominent results. Are there any side effects of lemon? Frequent use of lemon can discolor your hair and damage your scalp. The acidic nature of lemon can also dry out your hair and lead to breakage. 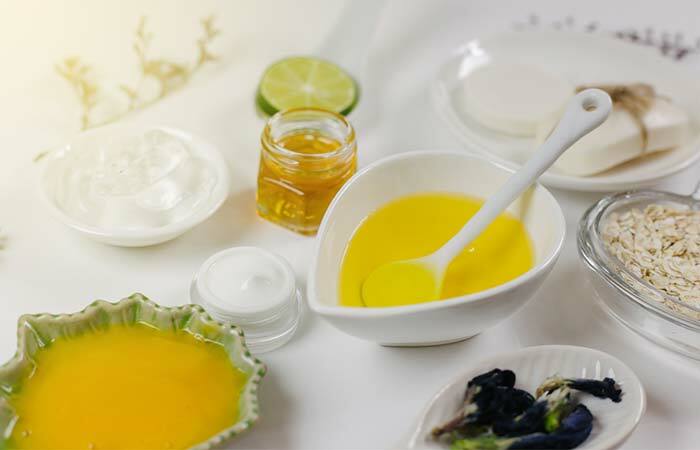 Coconut oil and lemon juice are two potent ingredients that boost hair growth for a number of reasons. Read on to know how you can use coconut oil and lemon juice for hair growth.